PRE ORDER - will send after April 28th - Peach Grey and Copper Beaded Silicone Sensory Keychain or Zip Pull. 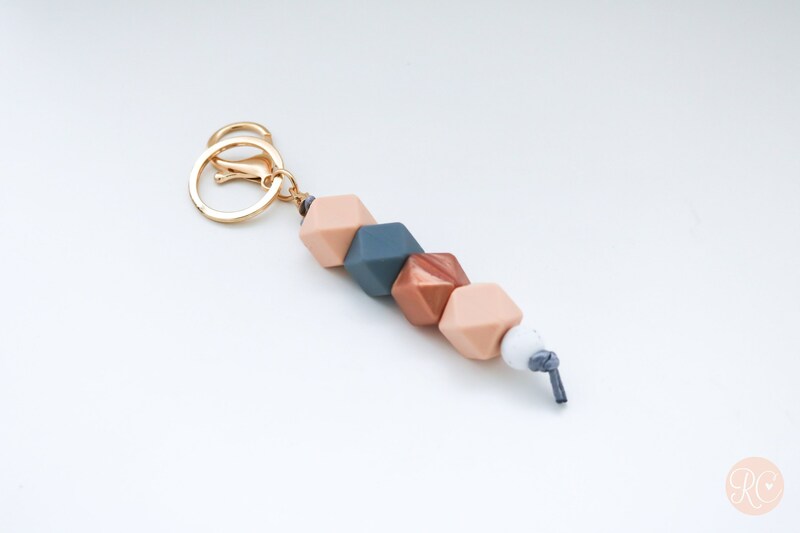 This Keychain is made from food grade silicone and contains no BPA, Lead, Cadmium, Phthalates, PVC and Latex. Beads will not absorb odours or support the growth of mould, fungus or bacteria. The Keying measures 15cm give or take a few mm for the thread length. The beads vary from 12mm at the smallest and 17mm at the largest. The keychain is honestly so much more beautiful in person. The size is perfect so now I will never lose my keys. The colour combo is perfect! Will definitely purchase more from this store. Fantastic item, delivered so quickly and even better than the photos!